In September 2017, Texas Governor Greg Abbott announced his decision to opt in to FirstNet network. 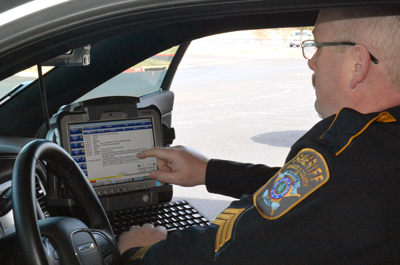 And in January of this year, the Brazos County Sheriff’s Department became the first Texas agency to officially subscribe to FirstNet service. “This day is something we’ve been looking forward to,” said Brazos County Sheriff Chris Kirk. Brazos County had worked with Harris County, Texas, one of the First Responder Network Authority’s Early Builder pilot projects, so the county was familiar with some of the features and benefits of the network. Sheriff Kirk noted; “We’ve proven the concept, and now we are ready to move forward.” He added that with FirstNet, Brazos will benefit from AT&T’s extensive bandwidth and priority and preemption on the network. Todd Early, Assistant Division Director with the Texas Department of Public Safety and chair of our Public Safety Advisory Committee’s Early Builder Working Group, stressed that Harris County worked with public safety agencies across Texas to gather input and guidance that helped shaped the network. “It’s an exciting time to see this technology being deployed,” Early said. With the department connected to FirstNet, Sheriff Kirk said he is able to do things he never imagined. “I can sit at my desk and pull up a camera and live stream any one of my 61 patrol cars,” he said. Through recent flooding, tornadoes, Hurricane Harvey response, and even an armed standoff, the department was able to use live streamed video to better assess incidents as they evolved. For the public, FirstNet means sheriff’s deputies who are not only more effective and informed but also more efficient. That translates into more officers out in the community more often. “We are out more being able to respond because we have the efficiencies of this network,” Sheriff Kirk said.